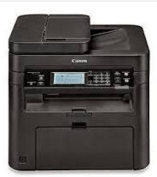 Printer Reviews– Intended primarily as a shared monochrome laser multifunction printer (MFP) for a micro or small office workgroups, the Canon imageCLASS MF216n provides quick and adequate high-quality output speed. It lacks a more duplex (for two-sided printing) but includes an automatic document feeder (ADF) to scan an Ethernet connector and easy sharing on a network. The combination makes it monochrome laser MFP Editor’s Choice for the use of micro-light office work or personal use heavy duty. The MF216n offers much more than the Panasonic KX-MB2000 replacing as our preferred choice. It has the same input capacity to 250 sheets but adds a manual single-sheet feed, which is a significant convenience. It is also faster in our tests, and ups the ante for scanning and copying, supplementing its letter of the flat surface with a 35-sheet ADF can handle up to legal size paper size. The basic features of the MFP include the ability to print and fax from, as well as exploring a PC and the ability to function as a standalone copier and fax machine. In addition, the printer provides mobile support to let you print from and scan to Android and iOS phones and tablets. A major limitation for mobile printing and scanning is that the MF216w must be connected via Ethernet to a network that includes an access point Wi-Fi. Some printers, including the Samsung Xpress M2070FW, offer free Wi-Fi Direct so you can connect to the printer, even if you are not on a network. The MF216n even supports Wi-Fi, least of Wi-Fi Direct. 14.2 by 15.4 by 14.6 inches (HWD), the MF216n is small enough to share a desk with but high enough that you may prefer not to. At 26.7 pounds, yet it is light enough for a person to move into place. The configuration is standard. For my tests, I connected to the network and install the drivers on a Windows Vista system. Canon rates the printer engine at 24 pages per minute (ppm), which is the speed you should see when printing documents that require little or no processing. In our suite of business applications, which struck the 12.3ppm (using QualityLogic hardware and software for synchronization).